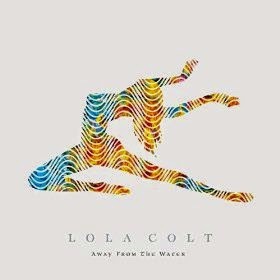 WHY: Only one record in, Lola Colt is already one of my favorite psych bands from across the pond. On Away From the Water, the band unleashes their phenomenal sound, led by vocals that call to mind fellow spell caster Grace Slick, and songs that come alive with tantalizing bursts of fuzz and fury. It's a rather sophisticated psych palate, and proves to be a satisfying listen time and time again. My jams: "Rings of Ghosts," "Heartbreaker," "Driving Mr Johnny," "Moonlight," "Vacant Hearts," "White Horse," "I Get High if You Get High," "Away From the Water"